These flat white paper sacks are great for running through your printer. Sacks measure 5″ x 7 1/2″ and come 12 sacks in a bundle. 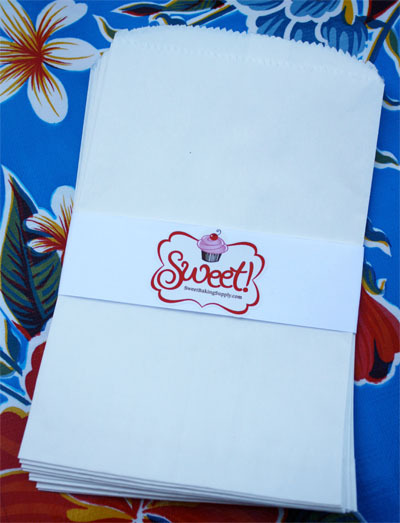 Print, fill with goodies and you have perfect treat sacks.